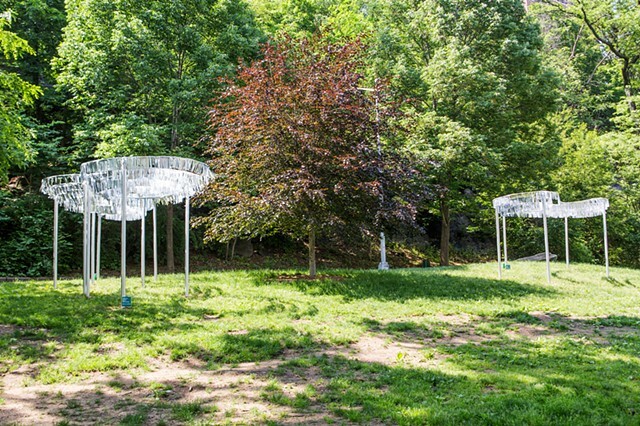 "Reflections" is a public art piece erected in Morningside Park during the summer of 2017. 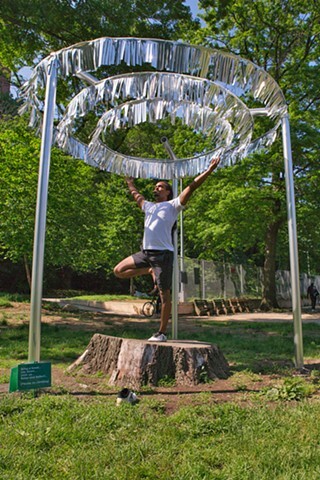 This piece references the metallic pennants often used outside of bodegas, a common sight in my neighborhood of East Harlem. 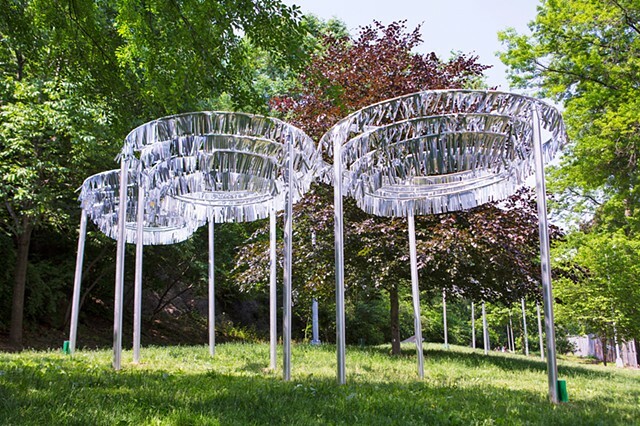 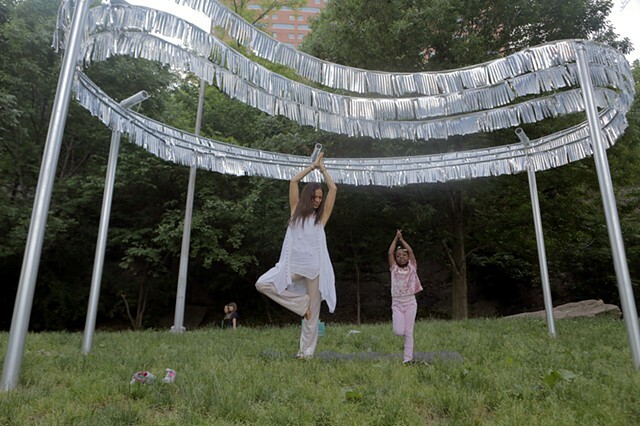 This image shows one of three structures, all meant to promote interaction with the public with a suggested prompt of laying underneath them and gazing through the hoops of shimmering light. 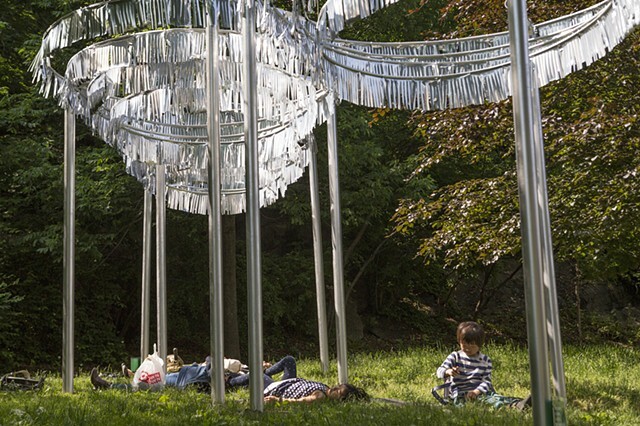 The intent is to offer visitors a moment to observe the nature around them while also reflect inwardly.